Lots of interesting advice by doctors on how to do better medical care for their patients. Physician, heal thyself! Why Doctors Are Running Out of Empathy – Inside the “sickness-billing industrial complex” is offered by Alex Mohseni, Emergency Medicine, on a subscription service (I’ll send the pdf if you request it), 22 May 2018. This is a very insightful read. I would like to describe the context within which we work, this so-called “healthcare system.” I find the phrase “healthcare system” difficult to write, because it is an inaccurate representation of what it purports to describe. If we take the word “healthcare” to mean the mishmash of hospitals, doctors, insurance companies, and vendors that profit from our physical and mental maladies, then perhaps it would be more accurate to call it “sickness-billing.” It is truly “sickness” rather than “health” that the industry focuses on, and “billing” rather than “care” on which it spends the better portion of its time. And if we take the word “system” to mean an organized set of people working together for a common goal, and if one has ever spent a day in a hospital, then one recognizes that the word “ataxia” better communicates the reality of the experience. “Ataxia” is a medical term we use to describe the inability of a person to move their body in a coordinated way. But “ataxia” may be too obscure, so I’ll use the term “industrial complex” — just think of the patients as our industry’s widgets. Empathy, in my personal perspective of its application to the medical profession, is the ability to preserve your sense that you are treating another human being. They’re not just “room 12,” or “the hypertensive stroke patient,” but a human being with a name, a story, family, friends, hopes, and fears — a human being who deserves your full attention, your touch, and your diligent and meticulous thoughtfulness. Empathitis: an acute or chronic reduction in a person’s ability to empathize, often affecting his/her work and life performance. Are You Perfect? Then Don’t Expect Patients to Be – Resist the temptation to judge patients’ failures, says Michael Kirsch, MD, MedpageToday.com, 19 June 2018. … it’s always easier to judge someone’s failures from higher ground. Would many of us have reached higher ground if we weren’t born with a ladder that was set up beside us to ascend? I’m all for personal responsibility and accountability. I’m also making a case for empathy, a virtue that has not always been as strong as it should have been in my own life. If our ladder breaks and we crash, how would we like to be treated? 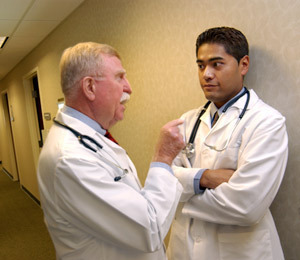 When the Bully Is a Doctor, by Mikkael A. Sekeres, M.D. from The New York Times, 14 June 2018 … whoa! 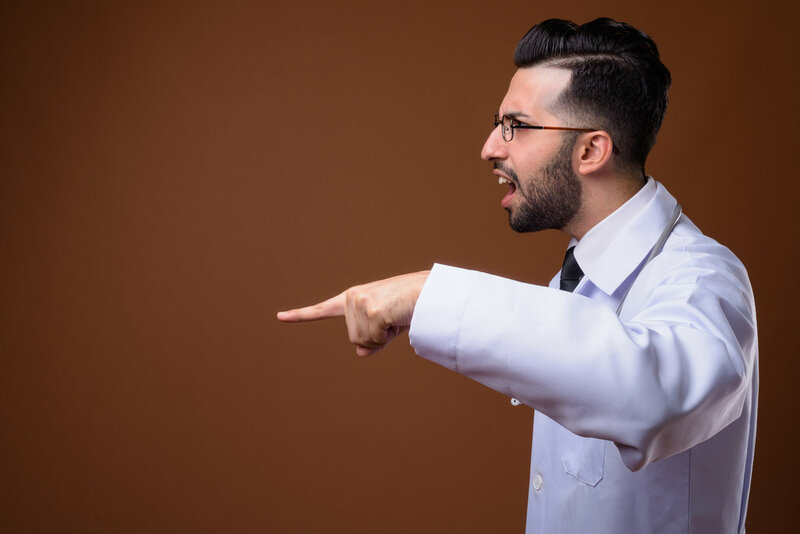 Bullying involves an imbalance of power between the perpetrator and the victim: in our case, between a fellow or staff physician and a resident or medical student. It occurs repeatedly over time. A victim’s inability to defend him- or herself is also part of the equation — we feared any grade less than high honors, which could compromise the type or quality of residency we might obtain, and would be determined largely by the fellow. Finally, the intention of bullying is to cause harm or distress — our fellow seemed to delight in our fear. It is a cruel irony that doctors and nurses are drawn to medicine to care for others, yet the majority have been bullied by their colleagues and superiors. We should all be able to turn to one another for support, to be able to admit that we are hurting, and to ask for a system that allows for missing work in the event of illness, without suffering castigation for being weak. It’s in our patients’ best interests, and in ours. I’ve had three bad doctors in my life. All three had the same basic flaw that I should have never overlooked. The flaw? They refused to laugh at my jokes. So first things first, if they do not laugh in our first meeting, I find a new doctor.